American singer and actor Ariana Grande recently revealed her struggle with post-traumatic stress disorder (PTSD) in an interview with British Vogue. The confession came almost a year after a suicide bomber targeted her concert in Manchester, England in 2017, killing 23 people, including the bomber, and injuring 139 others, more than half of whom were children. Grande also discussed her experiences with anxiety and stress during the interview. She said that it was difficult to talk about the incident and not cry. On the anniversary of the bombing, that is, May 22, 2018, she tweeted a message of love for her fans calling the day a “challenging” one. “It’s hard to talk about because so many people have suffered such severe, tremendous loss. But, yeah, it’s a real thing,” said Grande. The iconic singer hosted a tribute concert in Manchester in June 2017 to raise funds for the bombing victims and their families. She also revealed the tattoo of a worker bee done behind her ear to honor the victims of the Manchester Arena attack. Grande’s disclosure highlights the fact that suffering is not limited to people who are physically hurt or directly affected by an incident. When the emotional toll of an incident on a person becomes tremendous, it can lead to mental disorders like PTSD, depression, generalized anxiety disorder (GAD) or panic disorder. PTSD is a mental illness that generally develops after a person experiences or witnesses traumatic or life-threatening incidents like accidents, natural disasters, sexual assaults or violence. According to the National Institute of Mental Health (NIMH), approximately 3.6 percent American adults had PTSD in the past year. It was higher in females at 5.2 percent compared to males at 1.8 percent. Further, the lifetime prevalence of PTSD was 6.8 percent. PTSD symptoms are divided into four categories, namely avoidance, intrusive memories or re-experiencing, cognition and mood problems and hyper-arousal, reactivity and negativity. The symptoms might vary over time and from person to person. Symptoms of PTSD include nightmares, flashbacks, uncontrollable negative thoughts and severe anxiety among others. The flashbacks can be triggered by sounds, smells and sights associated with the event or by the mention of the event. The triggers can lead to severe panic or anxiety attacks, feelings of guilt and a disturbed sleeping pattern. It also affects the ability to function properly at work, home and socially. Further, the mental disorder can even affect an individual’s relationships. 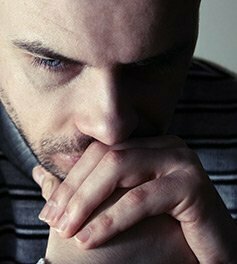 Though a complex mental disorder, PTSD can be treated with the help of a trained medical professional. Usually, PTSD symptoms occur within one to three months after the traumatic event, but can also surface later. If the symptoms last longer than a month, seek immediate medical help as timely treatment can increase the chance of early recovery. Therapists diagnose the presence of PTSD with the help of psychological and physical evaluation. The main focus of a treatment plan is to help the patient develop stress management skills to manage the memories of the traumatic event and cope with daily post-traumatic stress. The treatment plan can include behavioral therapy, counselling sessions, medications or a combination of all. If you or someone you know is battling PTSD, the 24/7 Mental Health Helpline can help. We can assist you in finding the right treatment program tailored to your requirements. To know more about credible mental health rehab centers near you, call at our 24/7 helpline number (855) 653-8178 or chat online with a representative.